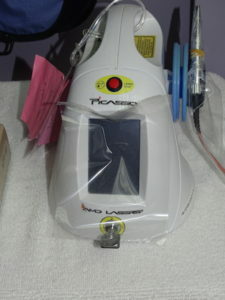 The intra-oral camera device is connected to a full color display screen and to a computer. Due to its small size and sleek shape, the intra-oral camera can view and record detailed images of your teeth from angles not visible to the naked eye. 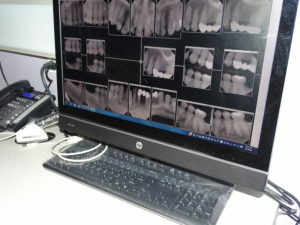 What’s more, the images it captures can be immediately viewed on the display screen by both you and our dentist. Dr. Kolar finds the ability to immediately view digital images of your teeth to be a highly valuable resource for both diagnosis and treatment planning. 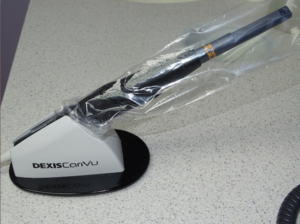 With the intra-oral camera’s digital imagery, the patient can see very clearly what the dentist sees. It also helps when communicating with insurance companies. With two soft tissue lasers at his disposal, Dr. Kolar can provide precise high-quality treatments that are relatively pain-free, less invasive, and useful for a wide variety of dental treatments. With the highly versatile soft tissue laser, Dr. Kolar is able to seal nerve endings and blood vessels and treat soft tissues simultaneously. This creates less stress on the gums, which significantly reduces both swelling and bleeding. Moreover, by using the soft tissue laser, Dr. Kolar minimizes his patients’ discomfort both during and after the treatment and even lessens their recovery time. Dr. Kolar uses soft tissue laser technology to provide his patients with precise dental care with a comfortable dental experience.